This belly button piercing is made of 316L surgical steel and is fully gold plated with rosegold. 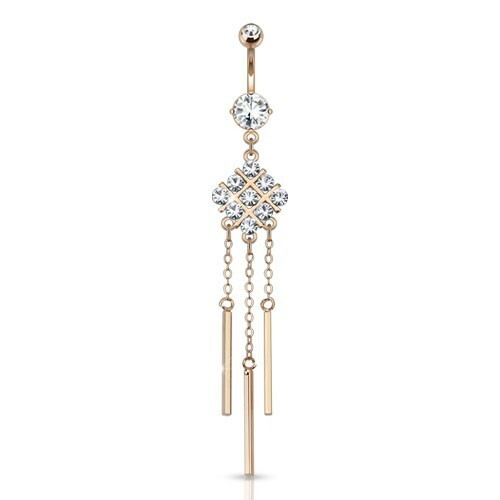 This piercing carries clear crystals in both balls. 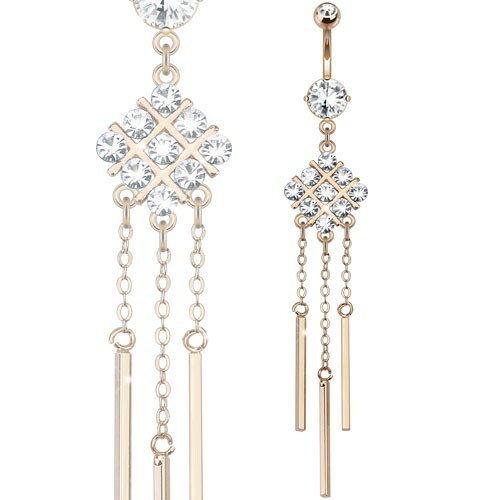 The dangle consists of a square with small crystals. The dangle ends with three chains which carry three gold bars.